I certainly would not have predicted it before meeting Jammie but 13 years after leaving the Philippines I married a Filipina-American in Los Angeles on April 3, 2011. We were polar opposites on the one hand – an American of Filipino descent, born and raised in Los Angeles and a vaguely Swedish Third Culture Kid born in Stockholm and raised in too many different places. 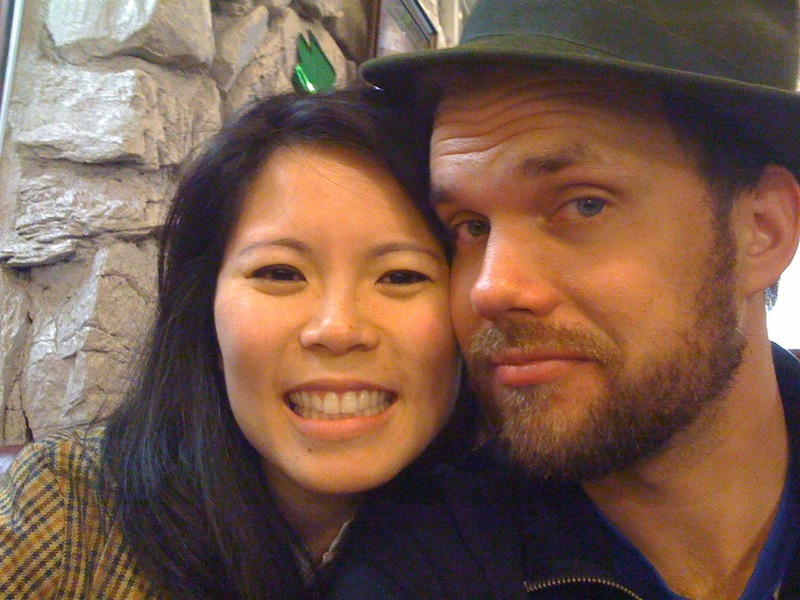 Seen differently we had very similar backgrounds – we both loved and understood Filipino culture (Jammie as a matter of heritage and I from living there for six years) and we both loved Los Angeles and its chaotic creativity, with near-foolish abandon. Loud vs. Shy Culture – Anyone that knows me well would condescendingly smirk at this understatement: I am loud. I love talking to and engaging people. I therefore enjoy Filipino gatherings because they tend to be high energy and boisterous. My family on the other hand, is a lot more Swedish in that they tend to be a little more quiet – especially when you take a step beyond my nuclear family. I remember my aunt’s reaction to raucous laughter at our rehearsal dinner in LA’s Chinatown. She thought something was wrong. It was just a buddy of mine being himself. How to Really Party – Traditional Swedish birthday parties involve your nuclear family and some carefully-chosen close friends and often take place within the safety of your locked home. The birthday parties I went to in the Filipino fishing village I lived in involved the whole village and a lavishly roasted pig, displayed dramatically on the spit against a backdrop of lesser dishes and assorted balloons. For my 30th Jammie and I compromised and only invited my work friends, an entire think tank, and the volunteers and Board of Directors of the Chamber of Commerce. Our one bedroom apartment was crammed beyond recognition and people spilled out onto the lawn. We had a piñata. Don’t Eat Off my Plate! – Jammie is an ardent proponent of eating off of other people’s plates. This took a while for me to get used to. I was all about eating my own food and finishing it. It barely occurred to me that I would need to share it or at least offer it up for multi-person sampling. In fact, that seemed a little gross. Jammie cured me of any such inhibitions. I will now eat off your plate. Visiting Family – Family is extremely important to both of us. But visiting and communicating takes on different forms. For starters, we live in Northern California so driving or flying to LA to see the Filipino side is easy. If we lived in LA I am sure we would be over at Jammie’s parents’ place a lot or they would come to ours. Scandinavian culture is a significantly more hands-off. Even if my parents didn’t live in England but right here in California, the visits would be more spread out. Not because the family bond is weaker but because Swedish parents believe it wise to “let the kids work things out for themselves” unless their help or opinion is directly solicited. I am happy with either approach and am not sure yet how I will treat my future kids. Probably some kind of hybrid approach as usual. What Qualifies as Fashionably Late? – This is a biggie. Jammie and I both are a blend of event-centered and time-centered cultures. The question is not so much one of when to arrive to work. American culture can explain that one for you with a pink slip in record time. Social engagements are the real question. Last weekend we got to our favorite car show so late that the sun had set and we could barely see the cars. That’s what you call unfashionably late. So we do need to be more punctual with our social engagements but we want to keep the focus on the event, the people and the relationships, not militaristic time card punching. As I said, we are just five months in but I’ll keep you updated on our very intercultural marriage. In the meantime, leave a comment with how you navigate diversity in your relationships. This post should be titled – what the hell happened to my life!?! after I got my wife. I married a fellow “California-born and raised their whole life” so not a lot of inter-cultural diversity, but I do think complementary personalities do mesh well for a marriage. We are over 20 years married and it’s kinda like I “borrow” some traits that she possesses that I don’t possess, and we kinda make a “the whole is bigger than the sum of the parts” thing, which I guess is one reason to marry in the first place! Just thinking aloud here! We need a bumper sticker to that effect!